Below is a full breakdown of the Boardman Aero Foundation service. By simply adding this service to one of our coaching packages we can spread the costs over a 12 month period and create the most complete coaching package in the UK. All aerodynamic coaching packages are a 12 month contract. A short wind tunnel session to assess current aerodynamic performance and identify the potential direction to find improvements. Designed for the curious and ambitious of any level of performance. Note that this session will not result in an 'optimised aerodynamic solution'. While there is some flexibility in what can be evaluated, changes to bike equipment will not be possible. You can use your bike, but a fleet of rapidly adjustable aero test bikes will be available. 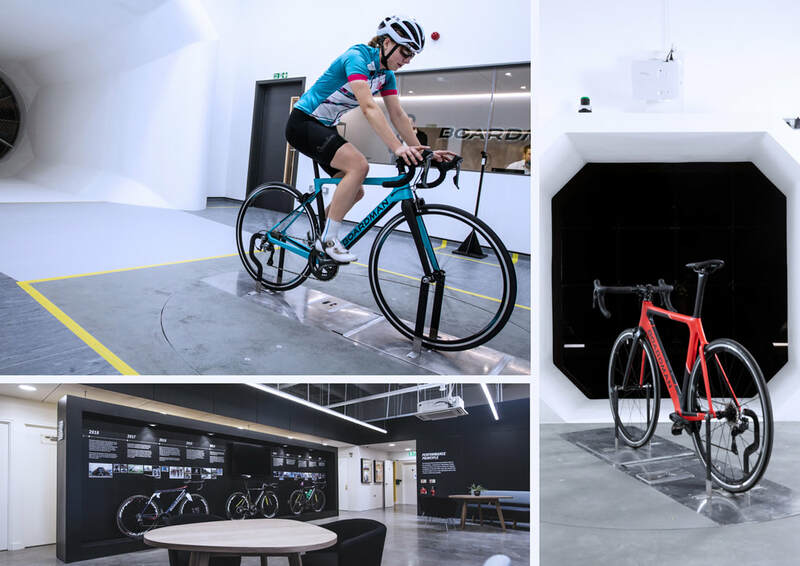 From the moment you walk through the door, you’ll be greeted by our staff and taken to our bespoke facility where you’ll experience an hour with our Wind Tunnel experts. We’ll place your bike in the tunnel and lead you through before starting her up for you to take a test against the wind. This session will not result in an 'optimised aerodynamic solution'. While there is some flexibility in what can be evaluated, changes to bike equipment will not be possible in the short time allowed. In most instances, your bike will be used, but a fleet of demo Time Trial bikes will be available to trial. If you would you like to add the Aero Foundation service to one of our coaching services select a coaching package or your choice from the drop down menu below. All the benefits of the Aero foundation plus.